The Sprig is our most basic and lightweight model. 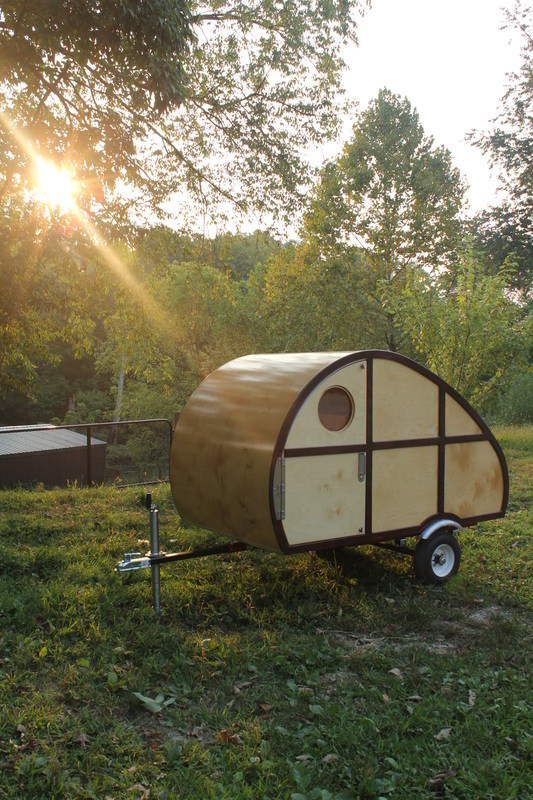 Like all of our campers, the Sprig is CAD designed and CNC manufactured in Philadelphia. We build campers to order, but also offer the Sprig in a pre-cut kit, to be assembled by the buyer. The Sprig is completely customizable...from a growing list of options, to a personalized paint scheme or graphics. This Sprig has its external framing stained to match our tow vehicle. 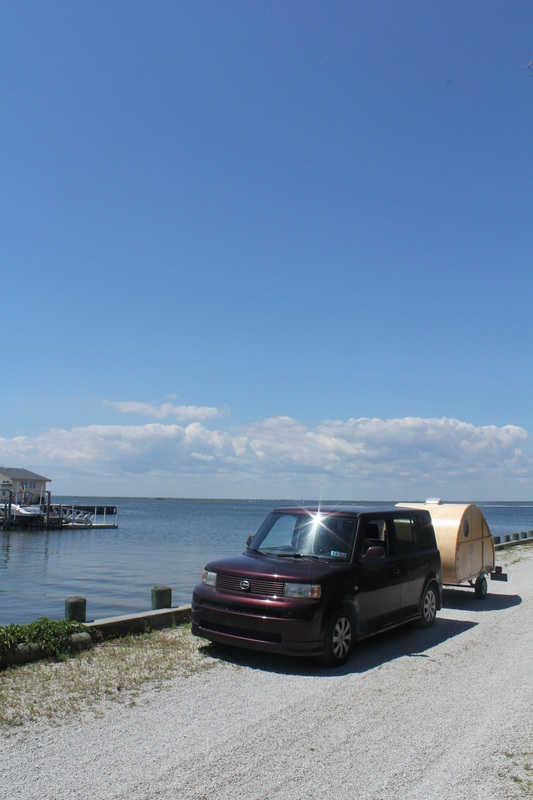 Lightweight construction allows the Sprig to be towed by most economy cars with a tow hitch. 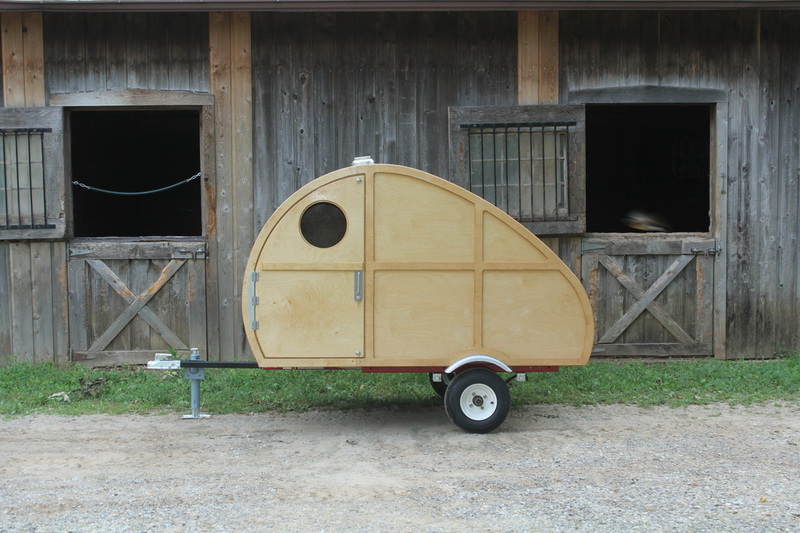 Available as a complete trailer or in kit form. 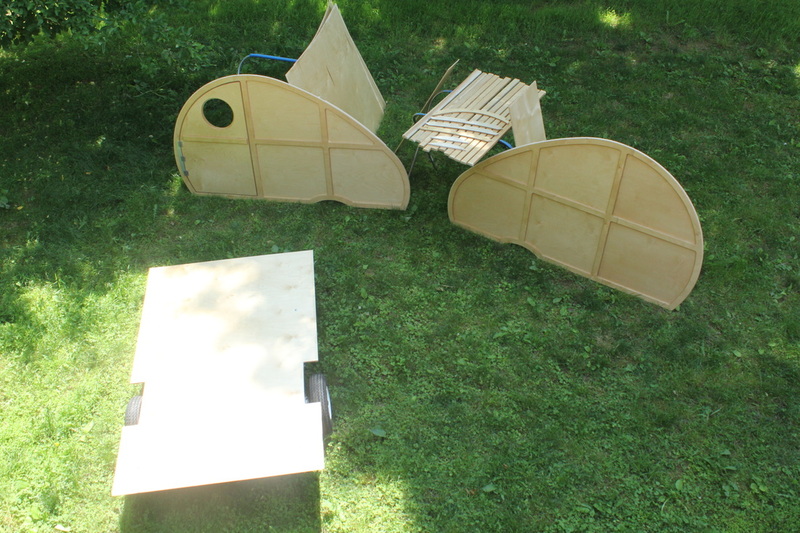 The Sprig kit can be assembled in 40-50 hours, and requires no fabrication. Check out our interactive web forum for complete details, instructional videos, and build logs of Sprig builders. Single side door and a rear galley/kitchen hatch. CNC machined side panels, constructed of multiply Birch and finished with marine varnish. Stainless hardware throughout.